Wow! 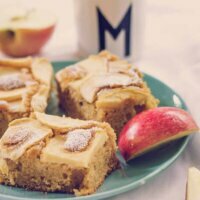 Brown sugar apple slice!! This is a guest post by the lovely Bron of Mumlyfe. 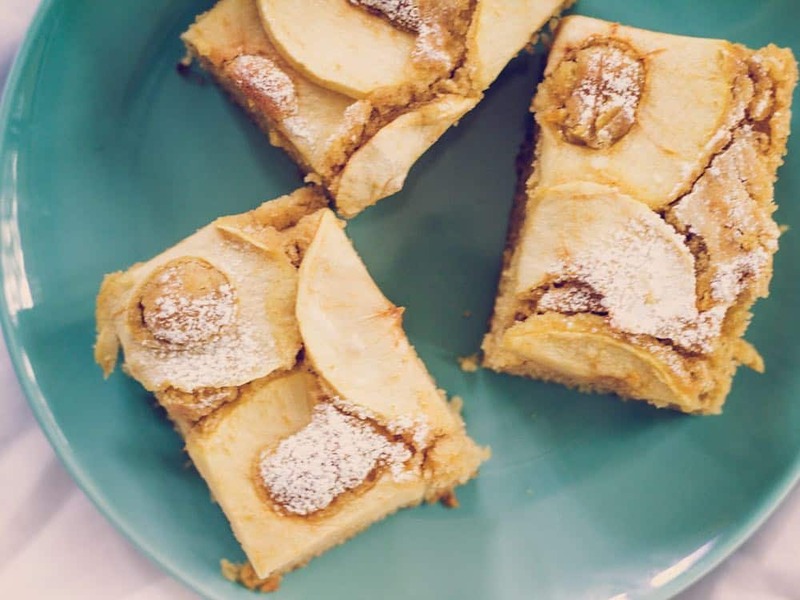 This brown sugar apple slice sounds far more decadent than it actually is. There’s actually less than a cup of sugar in the whole giant slice, but it brings out the sweetness of the fruit beautifully. A slice like this is just made for afternoon tea. Pair it with a glass of milk and a chat about how the kids’ day went. 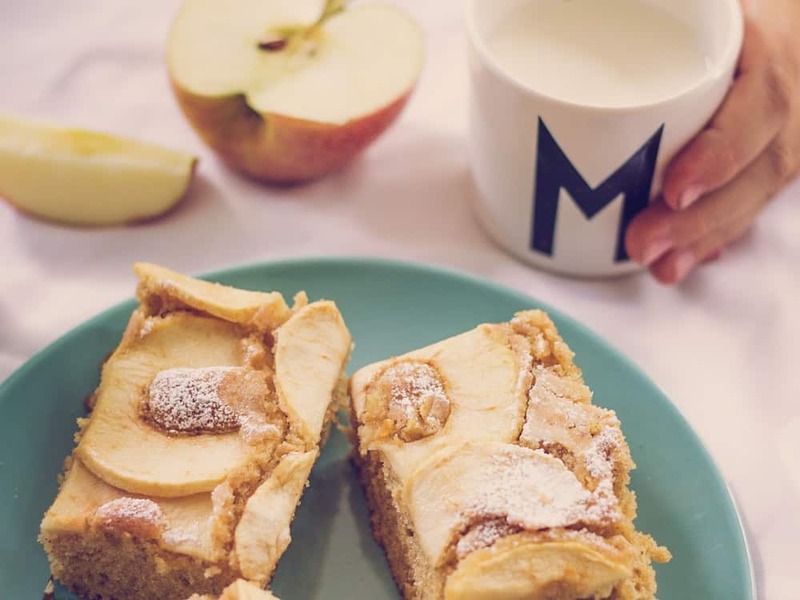 In my experience, brown sugar apple slice tends to warm kids up for good conversation and sharing. The thing about a slice like this (and so many others like our apricot and white chocolate slice or lemon crunch slice ), is that it’s actually probably quicker to make than to head to the shops and buy something else. It will take you just 15 minutes to pull this baby together, and probably five extra minutes to tidy up afterwards. That’s doable, right? This brown sugar apple slice will keep in an airtight container for up to three days – but I doubt it will last that long. I haven’t ever tried to freeze it, but I reckon it will go quite well. You could wrap individual slices, freeze in a container and pull a slice out to add to the lunch box. 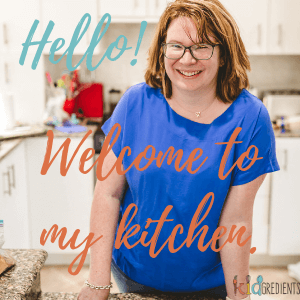 Bron Maxabella has been writing food and parenting content for over seven years. She recently launched a new parenting site focusing on teens and tweens. Mumlyfe aims to help mums of older kids flourish, so we can nurture enlightened, passionate kids who make a difference. 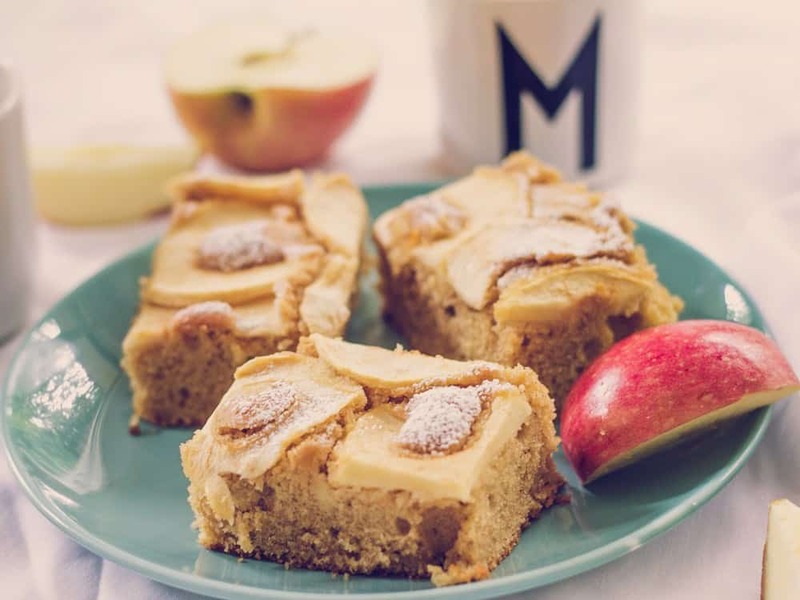 A delicious slice for the lunch box or afternoon tea. Quick to make and easy to make gluten-free. Preheat oven to 180°C (160°C fan-forced) and line a 23 x 33 cm baking pan with baking paper. Use an electric mixer to cream the butter and sugar together until pale and fluffy (this takes about 5 minutes). Add the eggs one at a time, beating well between each egg. Sift the flour, cinnamon, ginger and baking powder together. Fold the flour mix into the butter mix. Spoon the batter into the tray. Line apple over the top, pressing down gently. Bake for 35 minutes or until the sides of the cake are just pulling away from the tin and a skewer comes out clean. Leave to cool completely in the tin. Dust with icing sugar to serve. Will keep for up to 3 days in an airtight container in the fridge. For a gluten-free option, substitute any gluten-free flour for the plain flour and ensure the baking powder is gluten-free.